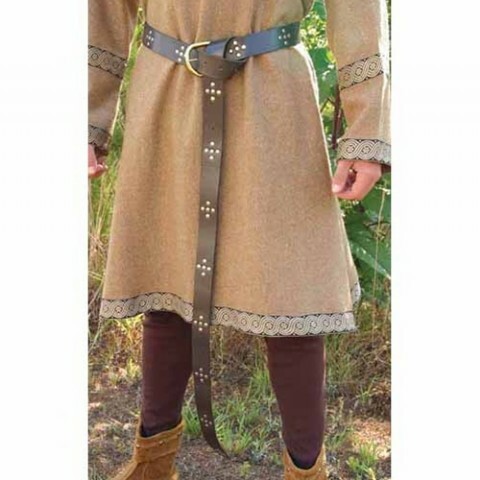 A fantastic long belt made of heavy grade brown leather. Measures 1.9m in length x 3.4cm wide. Nickel studs are used to adorn the belt.